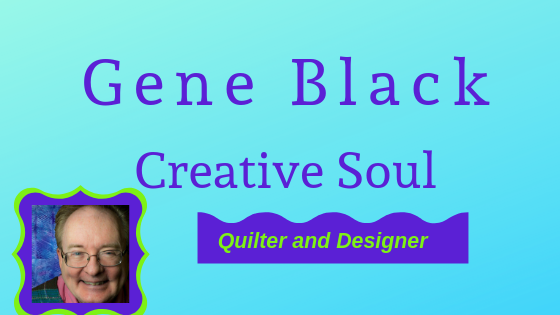 Gene Black an Alabama Artist and Quilter: Ah finally! Minnie Monkey is so happy this evening. You see she has been wondering if I was ever going to quilt the half quilt that I basted way back on the 14th. I started quilting it last night and finished it tonight. Minnie immediately had to get in the middle of the quilt. She even made me pull out the camera and take a picture. She likes the front of the quilt, but she wanted the back of the quilt for her picture. 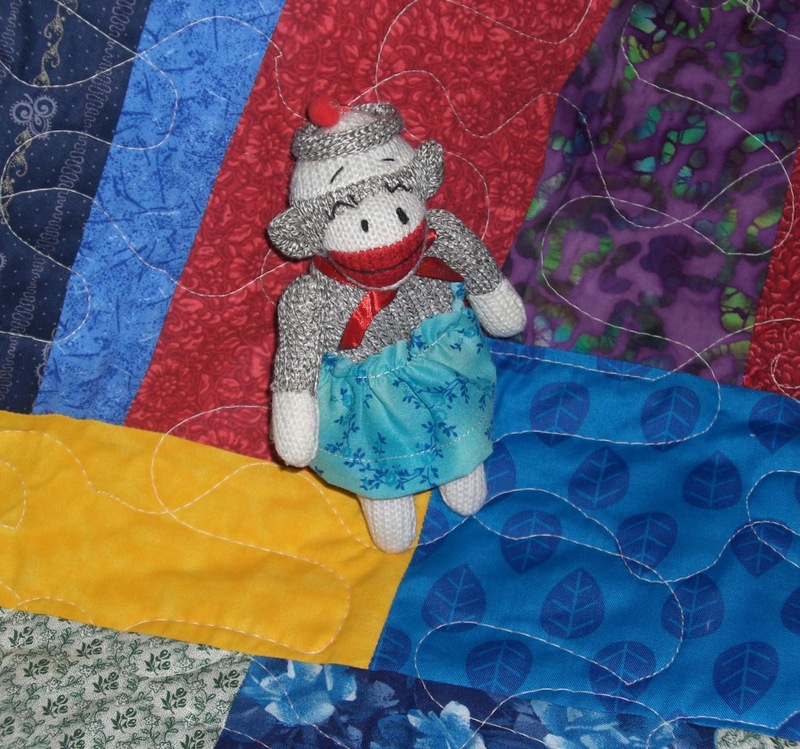 She has also asked that I make her a mini quilt just for her. You see, Minnie wants to "star" in the Pets on Quilts show that starts in August. She also hopes you will vote for her. I suppose I had better get her quilt made in a HURRY. Let me see there are one, two, three, (oh yikes!) FOUR days left in the month. Thanks goodness she is a mini monkey, Minnie Monkey. Minnie is adorable...I love sock monkeys! Love the quilt colors. Good job quilting it! Quilt looks great!! LOL good luck getting Minnie's quilt done!!! Lol!!! Think Minnie already has a quilt. The one you finished fits perfectly!